– Hard durable wipe-clean plastic body designed especially for your fun loving children. – Promotes early childhood development using touch and feel, sight, hearing senses. Don’t get frustrated while searching the right toy gift for baby showers, birthdays, holidays or just because! 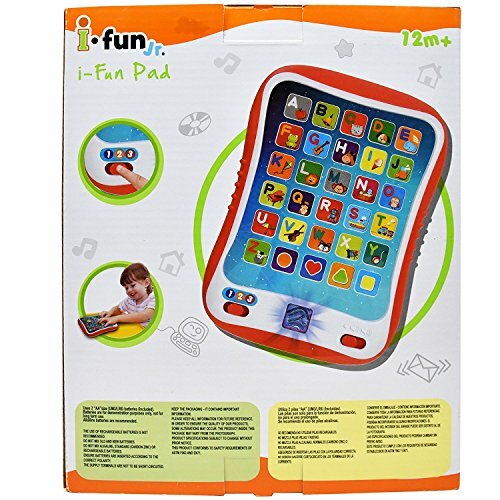 Get this high quality i-Fun Tablet as a gift that kids will remember their entire life! ORDER NOW and get this Musical Learning Touch Pad Delivered to your door step right away. COLORFUL KEYPAD – provides hours of learning fun! Three levels of play teaches letters, objects, shapes, spelling and music. Light-up fingerprint with fun sound effects and melodies with just the touch of the finger. Adjust the volume to your liking. 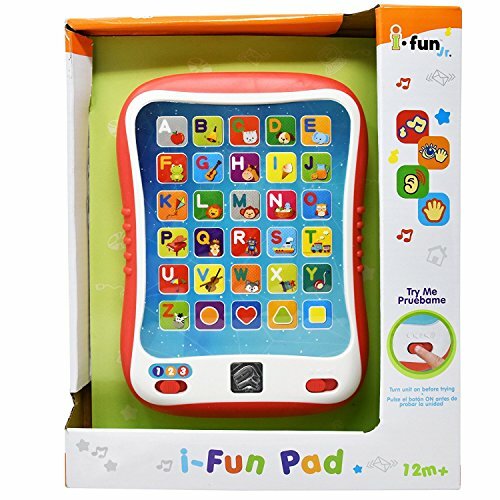 FUN EDUCATION TOUCH PAD – This great musical i-fun pad promotes early development, builds your child’s educational skills, and gives them a love for learning in a fun interactive learning way. 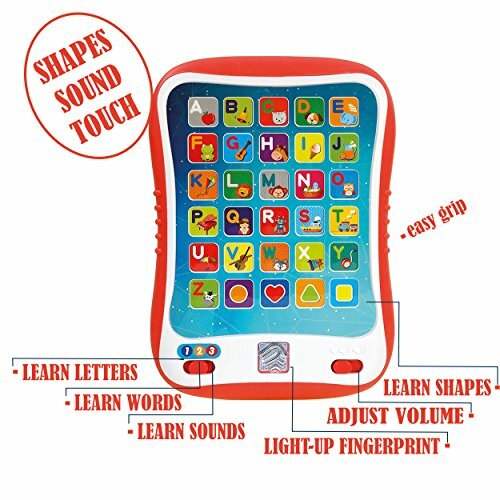 Touch pad teaches children ABC, shapes, words, and plays 10 different nursery melodies. ENTERTAINMENT UNLIMITED – Young children lose interest in toys when they find it too difficult or simply boring. This i-Fun Pad is specially designed to capture your child’s eyes. Kids will feel very proud with their own smart phone / touch pad. Textured design makes i-Fun Pad easy to grip for little hands. 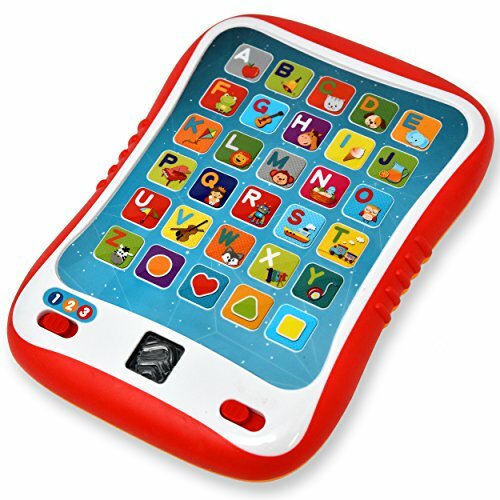 CHILD AND BABY EARLY DEVELOPMENT TOY – Entertain kids on the go, at home, or anywhere with this learning i-fun pad. Develops little kids motor and communication skills with this entertaining toy. Recommended for age 12+ months. 100% SATISFACTION GUARANTEED – Your children are guaranteed to be kept occupied with this fun educational touch pad. If for any reason you aren’t satisfied please contact us right away and we will resolve the issue. Customer satisfaction is our main priority!